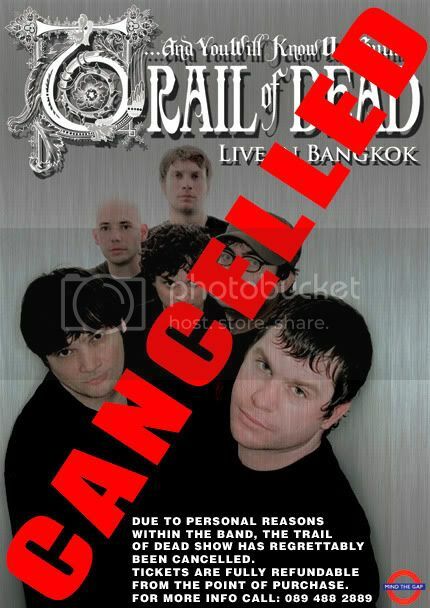 Mind The Gap: TRAIL OF DEAD CANCELLED!!! Due to personal reasons within the band, the Trail of Dead concert on the 21st May has regrettably been cancelled. Tickets are fully refundable from the point of purchase. Mind The Gap would like to apologise on behalf of the band to all Trail of Dead fans and look forward to bringing you some good news soon.